Float festival vibes atop salt-drenched skin in the Side By Side cover-up. 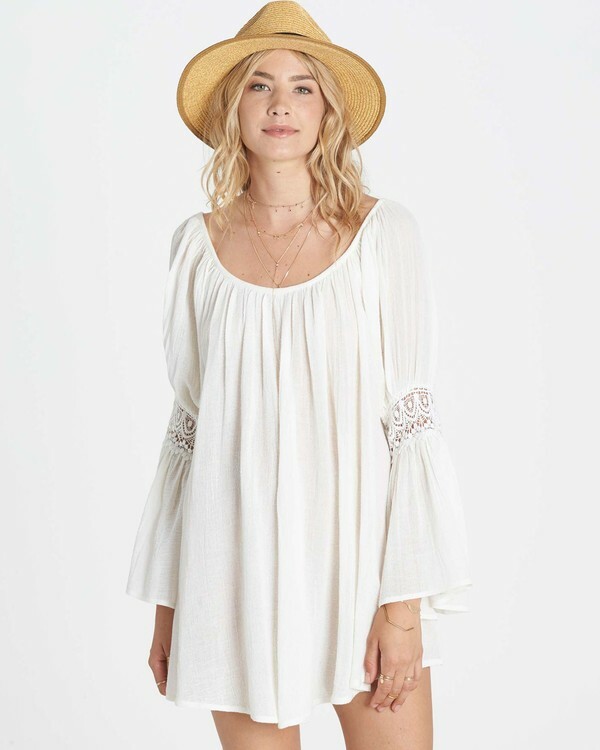 Designed to drape over bikinis or even bell bottoms, the woven gauze tunic delivers feminine crochet lace at the bell sleeves and an open crisscross back. Long bell sleeves with crochet trim. Shoulder to hem (HPS) length: 31 inches for size medium.